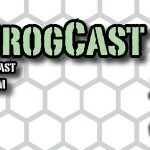 As season one of the GrogCast starts to wind down, we have our first industry guest join us. Glenn Drover (formerly of Eagle Games and now of Electric Games) talks game design, big-box Ameritrash games, and the occasional regret over the 20+ years he’s been in the business. He also crushes Brant’s dreams of seeing more Mac wargames.